Typography Fundamentals - Feel Confident With Type! Typography is present in every graphic design project, whether it be print or digital, motion or brand identity. This course explains how to use type properly in order to obtain professional results. The course directly addresses development of the skills a graphic designer must master for real world projects. 1. Tools: Develop a basic knowledge of the shape, proportions, and historical heritage of the letterforms that permit the graphic designer to classify typefaces into categories. 2. Methodology: Once basic knowledge is required and common language is established, a method that can be applied to any graphic design project is presented. This method will enable the student to choose the right typefaces for each project with confidence. 3. 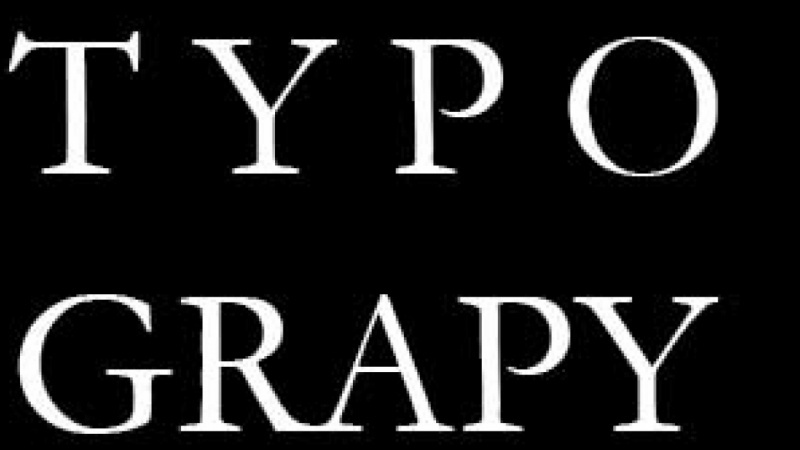 Obtaining Visible Professional Results: There are many specific elements of typography that a professional graphic designer must master in order to deliver the desired result in a clean and effective manner. 4. Verification: The use of quizzes at the end of each lesson will allow the student to gauge their understanding of the most important concepts. 5. Keep learning! : Recommended books and online resources are presented for the purpose of ongoing learning as well as staying updated about current typography trends. As stated above, this course is less about the history of typography and is father strictly relevant for people who want to develop skills and learn the tools needed for typography now. Design your business card to promote yourself. PART 1. Feel the format.